Description: This is a good bracelet to begin working on the Loom. It is simple to lay the elastics, and very easy to redo if an elastic accidently pops off. The pattern is the bracelet. It is also the foundation for creating extensions for many other bracelets. It is also very easy to make longer or shorter because you can add or remove elastics by hand if needed. 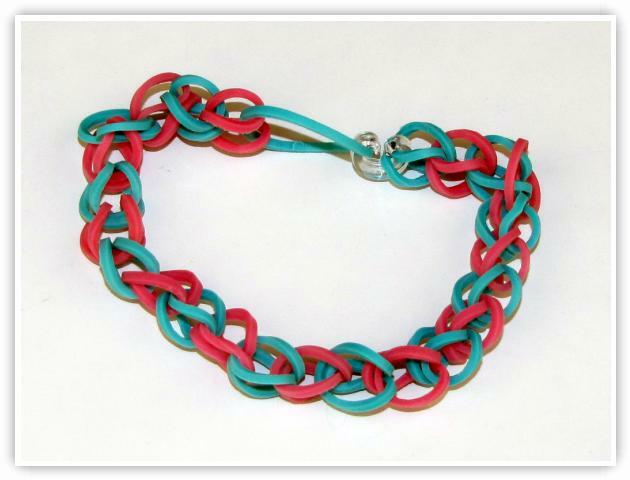 This is also the popular pattern for making necklaces because it requires the least amount of elastics for the pattern.